GASLAMP DISTRICT (4-13-2019) – Except for the regular-season series of the season when Valhalla and Steele Canyon high schools meet, probably for the Grossmont Valley League crown, El Capitan will meet Valhalla in one of the highlight games of the local prep season at Petco Park on Saturday’s (Apr. 13) in a key matchup. First pitch is slated for 10 a.m. The game will be streamed live on the NFHS Network (subscription required). Valhalla and Steele Canyon are tied for first place at 5-1 in GVL play, with the Vaqueros just one game back as the league approaches the midway mark. 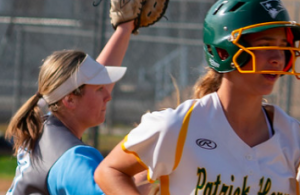 In addition, it was learned that the Grossmont Conference is ending its experiment split into one 7-team league and a 4-team league the Grossmont Hills League), agreeing to return to a 6/5 split for the 2020 season. The official vote has yet to be held, but conference directors of athletics, plus school and district officials discussed the matter and it seems just a rubber stamp vote is needed. As noted prior to the season, such “super leagues” like the Grossmont Hills rarely work because programs used to winning don’t always win when all you’re doing is beating up on each other. Currently, only Helix has a winning record in GHL action. The original idea of a 7/4 split entailed the grouping of the area’s four weakest teams — not the strongest. In this way, weaker programs can play more contests against similar caliber programs, giving each greater opportunities to win. 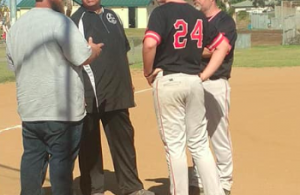 MONTE VISTA 15, MOUNT MIGUEL 3: At Mount Miguel, the visiting Monarchs broke open a 4-3 ballgame with11 unanswered runs, as the home team just doesn’t seem to matter when these Spring Valley rivals meet in Grossmont Valley League baseball. 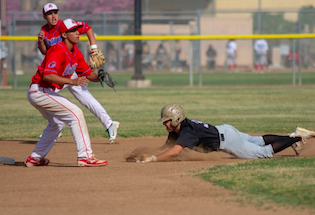 Shortstop Ernie Arambula and pitcher Andy Canedo each drove in four runs, and when joined by leadoff batter Sergio Cortez, the top three Monte Vista batters collected 10 RBI. Meanwhile, first baseman Chris Leask clouted a lead home run in the 6th inning, part of a 150hiut attack. The Matadors mounted a quick 2-1 lead in the 1st. After a lead double by Austin Ortiz, Trevor Darby was hit by a pitch, One out later Erik Kelly singled home Ortiz to tie the contest, then Johnathan Frivaldo singled home Darby. However, Monarchs starting pitcher Andy Canedo settled down, allowing just one additional hit over his six innings to garner the victory. Canedo recorded 11 strikeouts. For Monte Vista (11-9 overall, 3-5 GVL), Ortiz went 2-for-4 with a double, scoring three times, as the Monarchs tallied six times in the 5th, then four more in the 6th. 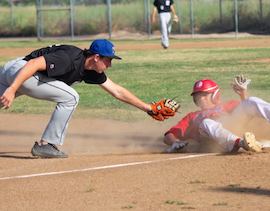 Mount Miguel (5-12, 3-3 GVL) received an RBI single from JoJo Castillo, bringing home Nico Camacho (walk, stolen base), then the next 13 consecutive batters were retired until a one-out walk to Frivaldo in the 6th. WEST HILLS 24, EL CAJON VALLEY 1: At ECVHS, Wolf Pack right fielder Parker Craft batted a career-best 5-for-5 with a double, part of a 24-hit attack in Grossmont Valley League action Friday (Apr. 12). Craft finished with four RBI, as did center fielder Kole Klingerman. Meanwhile, shortstop Peyton Honick (4 hits, 4 runs) and catcher Joseph Thrailkill (3 hits) knocked in three runs each. The Braves scored in the 5th inning when Greg Sanchez singled sharply to left-center field, then the catcher stole two bases. One out later, first baseman Samuel Barraza lifted a sacrifice fly to center to avoid the shutout bid. Otherwise, West Hills pitchers Kyle Dobyn and Christian Schmid each tossed 1-hit ball. Dobyns registered seven of his nine out on strikes to gain the win, while Schmid received a save for his two frames by run rule. West Hills (6-12 overall, 5-3 GVL) also saw Andrew Ritayik (4 RBI) and Thrailkill collect back-to-back triples in the 5th. The other base hit for El Cajon Valley (2-12-1, 0-7 GVL) was by shortstop Robert Verdugo. TRI-CITY CHRISTIAN 11, FOOTHILLS CHRISTIAN 1: At MiraCosta College in Oceanside, the Eagles completed a home-and-home series sweep of the Knights to gain first place in the Pacific League. Foothills Christian scored first, but Tri-City Christian countered with 11 unanswered runs, including seven in the 3rd inning for a 10-1 cushion. The Knights (4-15 overall, 1-2 league) scored when Jalani Brown opened the game with a base hit. 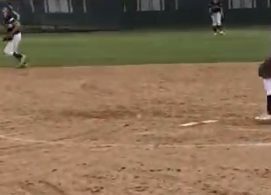 He stole second base, taking third on a throwing error then came home on a Famolaro base hit. Both players recorded two hits among seven by FCHS. Tri-City Christian (10-6, 3-1 league) saw cleanup hitter Braden Knight go 3-for-4 with four RBI.